Get away in comfort and natural beauty. Property 1: Get away in comfort and natural beauty. 3BR Sunriver Townhome on Woodlands Golf Course! 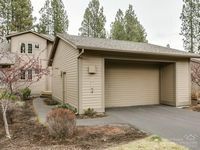 Property 9: 3BR Sunriver Townhome on Woodlands Golf Course! Golf course views and private hot tub and free SHARC access! Property 11: Golf course views and private hot tub and free SHARC access! Luxury, dog-friendly condo with SHARC access & Village w/hot tub! Property 12: Luxury, dog-friendly condo with SHARC access & Village w/hot tub! Property 13: Upscale townhome w/ river access, great views, & game system. Updated townhome w/ golf course views & private hot tub, 8 SHARC passes! Property 15: Updated townhome w/ golf course views & private hot tub, 8 SHARC passes! Great kitchen, private hot tub, near the Village at Sunriver, 8 SHARC passes! Property 16: Great kitchen, private hot tub, near the Village at Sunriver, 8 SHARC passes! Property 19: Upscale townhouse w/ amazing location - walk to breweries & the Amphitheater! Luxury town home located on the 15th Fairway and across the street from SHARC! Property 22: Luxury town home located on the 15th Fairway and across the street from SHARC! Dog-friendly home by village w/ private hot tub & SHARC passes on bike path! Property 24: Dog-friendly home by village w/ private hot tub & SHARC passes on bike path! Vantage Point -Steps to the Old Mill and River. Hot Tub. New & Updated, Gorgeous Outdoor Spaces! Property 29: Vantage Point -Steps to the Old Mill and River. Hot Tub. New & Updated, Gorgeous Outdoor Spaces! Points West - 4 Suites, perfectly located between Bend and Mt Bachelor! Property 34: Points West - 4 Suites, perfectly located between Bend and Mt Bachelor! Property 35: Luxurious home near the SHARC & Village with private hot tub, resort amenities! Comfortable condo w/ private hot tub, shared pool & tennis - great location! Property 36: Comfortable condo w/ private hot tub, shared pool & tennis - great location! Property 37: LUXE Modern in Old Mill!!! Amazing Mtn Views!!! Come stay at this Luxury Town home that has everything including A/C. Property 38: Come stay at this Luxury Town home that has everything including A/C. Quiet River - Beautiful Bend Townhouse - Country Feeling Right in Town! Property 39: Quiet River - Beautiful Bend Townhouse - Country Feeling Right in Town! Charming 2 story with an amazing view of Mt Bachelor and Meadows golf course. Property 41: Charming 2 story with an amazing view of Mt Bachelor and Meadows golf course. The house is gorgeous, quiet, very comfortable and well equipped. Only a 15 min drive to Bachelor and 10 min to town. We really enjoyed our stay. Nice condo. Beautiful view out the back. Very well stocked. Remotes to upstairs TV&rsquo;s did not work. Hot tub never got warm enough. Xbox remotes did not have batteries.